There are 330 NCAA member institutions that sponsor Division I Women’s Volleyball teams and are eligible to compete in the National Championship. All 330 programs support over 5,500 Women’s Volleyball student-athletes across the country. The 2018 Division I Women’s Volleyball championship provides for a field of 64 teams to compete in a single elimination tournament. Of the 64 teams, 32 teams will receive automatic qualification while the remaining 32 teams are selected on an at-large basis by the Division I Women’s Volleyball Committee. The NCAA Division I Women's Volleyball Championship bracket will be announced the Sunday before the first round of competition at 7:30 p.m. CT on ESPNU. First and Second round competition will be held at 16 non-predetermined campus sites. At each campus site, four teams will compete in single-elimination first round competition. The two advancing teams then compete against each other in single-elimination second round competition at the same campus site. The winning team from each of the 16 second rounds advances to the regional round. Regionals for the NCAA Division I Women's Volleyball Championship will be held at four non-predetermined campus sites. At each site, four teams compete in single-elimination regional semifinal competition. The two advancing teams then compete against each other in single-elimination regional final. The winning team from each of the four regions will advance to the DI Women’s Volleyball Championship final site in Minneapolis, MN. 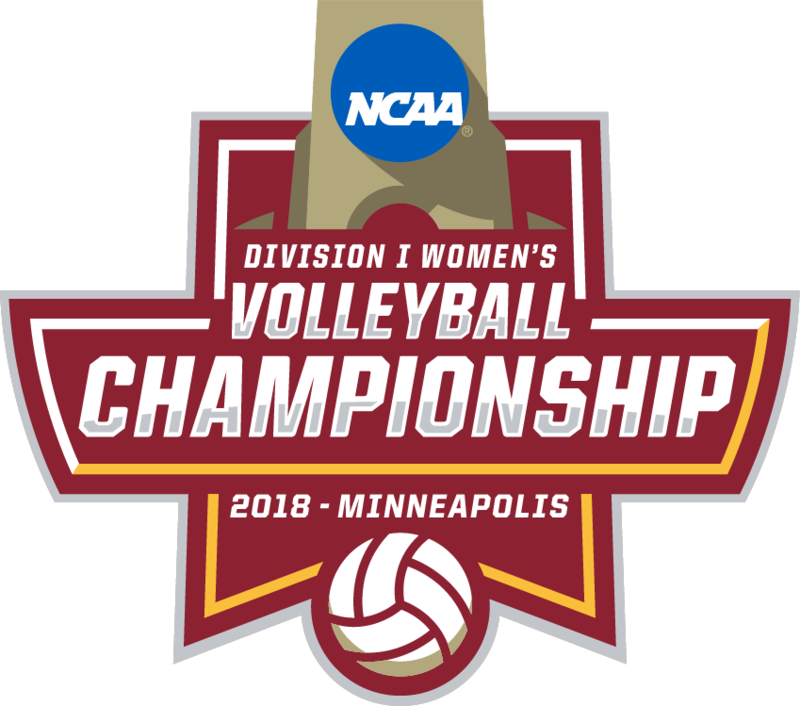 The 2018 NCAA Division I Women's Volleyball Championship will be held at the Target Center in Minneapolis. The national semifinals will be held December 13 at 6:00 p.m. and 8:30 p.m CT. The national championship will take place December 15 at 8:00 p.m. CT.